A t the end of August, Jamie Flinchbaugh posted a blog called “Stay Out of Your Inbox.” It is part of his First Steps Video Series. The point was most people come in to work and the first thing they do is start with e-mail and it gets them off on the fire fighting trail right away. The suggestion was to come in and do something that is value added first. Even it if is just 15 minutes, to get the day started off on a positive note. I had inadvertently discovered this on occasion. If I had a meeting first thing in the morning and couldn’t get to my e-mail, I noticed how much I would get done in a day. It wasn’t until I saw Jamie’s post that I put 2 and 2 together. So over that last month, I have made a conscious effort to not start off in my inbox. I took a task that I needed to complete or some documents I needed to review and I did that before I even opened my e-mail. I did not open my e-mail anywhere from 30 -60 minutes after I got to work. After a month of trying this out, I can say this is one improvement I plan to stick with. I was able to get meaningful work done and was pulled into less fires. Half the time, the fires were put out before I even saw the e-mail. This meant I spent more time on more important tasks while fires still got put out. At the end of the day, I felt like more got accomplished when I went home. I also found out how important most of my e-mail really wasn’t. Thanks to Jamie for connecting the dots for me. I hope this can help others too. Are You Bob Woods from The Gold Mine? 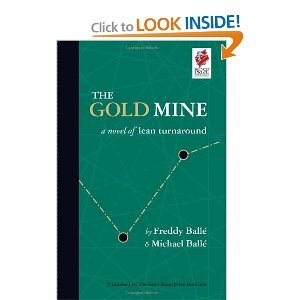 Earlier this year I read the novel “The Gold Mine” by Freddy Balle and Michael Balle. When I was finished, I thought it was a good book and I liked the novel format. I found the book OK. It talked about a lot of lean concepts, but nothing new and it didn’t strike me in a new way. I was really taken aback by the behavior of Bob Woods, the main character of the story, a retired lean guy who had transformed many facilities. When asked to help out a friend of his son, he reluctantly agrees. What shocked me the most was Bob’s behavior in the book. It seemed very command and control. Do it this way or don’t call me! type of attitude. The book is based around this attitude and his lack of patience for someone not taking action and doing it the way he said to do it. The attitude didn’t seem very lean leadership like. Fast forward several months, I am now reflecting on the book again. I had to look in the mirror and ask myself, “Am I Bob Woods?” I have a better understanding of where he was coming from now. Have you ever gone into a situation where you know you can help? They have asked for your help, but in the end they don’t want to do it or argue with you. It becomes very frustrating to the point where you finally take an attitude of do it this way or don’t ask me for help anymore! I still don’t believe this a way a great leader would behavior, but I have some empathy for Bob Woods now. How do you avoid becoming Bob Woods as you do more and more lean transformation work? As leaders we are to bring people along with us. That is the definition of leadership. Telling someone what do to is dictatorship. Is it appropriate to display the behavior of do it my way or don’t ask at any time? I feel there isn’t a time or a place for that, but it may not be that black and white. What do the Indianapolis Colts and Toyota Have in Common? Quite a comparison, I know. I was born and raised in Indiana and spend over 30 years living there. I have been a Colts fan since 1984 and I’m not shy about it. The comparison can be said about the New England Patriots or the San Francisco 49ers from the 1980’s. What they have in common is stability in leadership. The approach to building an organization, whether a sports franchise or a company, is not changing from year to year. The approach used by both the Colts and Toyota, is to evaluate young talent and invest in their skills. On the Super Bowl team from 2006, 49 of the 52 players on the roster had never played for another team but the Colts. Toyota’s President has always been promoted from within, except for Mr. Wantanabe. This consistency has lead to steady and proven results over multiple years. The position changes at lower levels has even been from within. A 10 year run at excellence is not the norm now in the sports world so there has to be something there. I’m not saying that you shouldn’t ever look to the outside for leadership help or the next person to run things. If you do though, it would be a good idea to look for someone that fits the philosophy of the organization and not find someone different just to “shake things up.” If the formula is working, just keep tweaking it so it gets better. Living in Kansas now, I have listened to the newly retired President of Kansas State, Jon Wefald speak as well as talked to others that have heard them. For 20+ years his message was consistent to the point, university employees knew how it would start out every speech. His mission was to help Kansas State University become successful at athletics as a way to increase revenue and marketing for the education and research branches. He wasn’t saying athletics comes before academics, just use the athletic system and revenue as a marketing tool for the academics. It worked well for him. Organizations that are successful for long periods of time (relatively speaking for their arena) seem to all have steady and consistent leadership and messages in common. Just something to think about. Critical means the task needs to be completed in a very specific way. With a certain hand, in a certain order, in a very detailed manner because of safety, productivity or necessity (this must be done before that can be done). Important means the task needs to be completed in a specific way but there is some structured freedom in how it gets done. Not Important means that the task needs to be completed but how and when may not matter to the process. The following example will help illustrate the definitions. Critical would say, “Use your right hand and insert screw #1, then #2, then #4, and then #3.” This may be because of a safety hazard that would arise if you do it in a different order or the ability to not be able to get to screw #4 if you do #3 first. Important would say, “Insert screws #1 and #2 first. 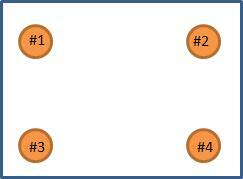 Then insert #3 and #4.” Implying it does not matter if the operator inserts #1 first or #2 first just do both of them before you screw in #3 and #4. Not Important would say, “Insert the four screws.” Implying it does not matter what order the operator puts the four screws in. In this case, it was not important who did the tasks, but critical the tasks were done in a specific order. It was a good use of the definitions to come up with the standardized work that will have ownership. Standardized work is important but we have to remember to keep it in context and apply the definitions of critical, important, and not important appropriately. Technology has helped us in so many ways. I know the perception is that lean thinkers do not like technology. That is not the case. We just like to be sure it supports our process and helps to eliminate waste. With that in mind, has technology really helped us with waste in regards to information transfer? Especially, in a building? My observations say it has not in certain instances. It has just shifted the waste from one form to another. Here is the example that caught my attention. Before email and transferring documents electronically we would have to send a paper copy through inter-office mail or mail it. During that transportation time, the sender would contact the recipient and let them know it was coming. The recipient was expecting it so when it arrived it would not sit very long before the value was added. Now with email and notifications of a document being ready in a system, the recipient receives something immediately from the sender. It is so quick, the recipient may not be looking for it, know it was coming, or even be available when it arrives in the inbox. So now the work sits and waits and waits before the value is added. So the total time between activities is not much different than the old way. I’m not saying email and technology is bad, I’m just wondering did we shift the waste from being transportation to waiting? Did we get to the root cause of why the waste even exists? What are your thoughts? I know it has helped, but how much? Am I completely off base with this? Today’s guest blogger is Joe Wilson. Joe is a great lean thinker that worked for an automotive supplier for several years. Developing his lean thinking by diving into the deep end. Joe now works for Tyson Chicken working within their Industrial Engineering group. I happy to post his writing here. Joe is a great lean thinker. At first in conjures up images of the ‘next big thing’ in trendy manufacturing lingo and training classes. It seemed like it was going to be a super hybrid manufacturing system that encompasses Lean, Six Sigma, Theory of Constraints, Kepner Tregoe, Red X, DOE, TQM, VORP, WHIP, PER, QB Ratings, and some ninja stuff mixed together. All of which can be outsourced to the lowest possible labor cost country and managed remotely by an iPhone app. Knowing Matt, I’m pretty sure that wasn’t where he was headed, but I was still struck by the name and what he meant by it. Without asking for his reasoning behind the name, I’ll offer up my take on what it has come to mean to me. I think ‘Beyond Lean’ is a way of stripping off the extra baggage of the names or origins of what we are talking about and looking at why something does what it does and what it would do for you. I think it’s about pointing out where lean principles exist in the world around us without stretching to see it in places that it isn’t. I think it’s also about looking past the words in a book (or from a video) and knowing that your path to greatness is going to be different than somebody else’s path. Ultimately, I think ‘Beyond Lean’ is a mind set of sorts that reminds us that there is no such thing as achieving lean. There are always opportunities to be found, problems to be solved, quality to improve…and the only way to chase that greatness is to be willing to look and reach beyond where the map tells you to look. Then again, maybe Matt just thought it sounded good…. One difference I have seen between organizations that are leading and ones that are lagging in continuous improvement efforts is proactive versus reactive capital investment plans. Most organizations that I have worked with are reactive to most of their capital investments. The organizations realizes it needs equipment or needs to move equipment now (or this year). Organizations like this usually have a small capital budget, relatively speaking. Justification becomes a daunting gauntlet that must be run each and every time capital is needed. The contrast is an organization that sets a 3-5 year vision, including layout and growth opportunities. When working with these organizations, they plan capital investments a few years out based on a larger plan. This allows the organization not to rush research on what the best or most appropriate equipment needed is. Also, when looking forward to the next 3-5 years the organization only presents one proposal that gets reviewed for capital expenditures. When results are shown in the first year, the subsequent years become an easier review to make sure everything is still on track and make any tweaks that may be needed to the longer term plan based on what happened in the previous year. 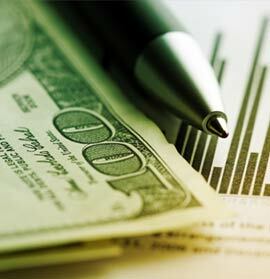 My personal experience has shown it is much easier to get larger amounts of capital, if needed, than is usually planned. It also helps in selling the growth ideas the organization has. 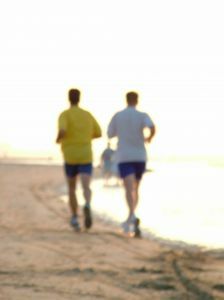 It becomes a lot more realistic and achievable when there is a longer term, proactive plan to point to. If you are struggling to get the capital you need, my suggestion would be to try and be proactive through a longer term vision and execution plan.